Canada’s northern hinterlands hold almost one-quarter of the world’s remaining wetlands. The Hudson Bay Lowlands and Mackenzie Basin are some of the largest areas of wetland left on Earth. 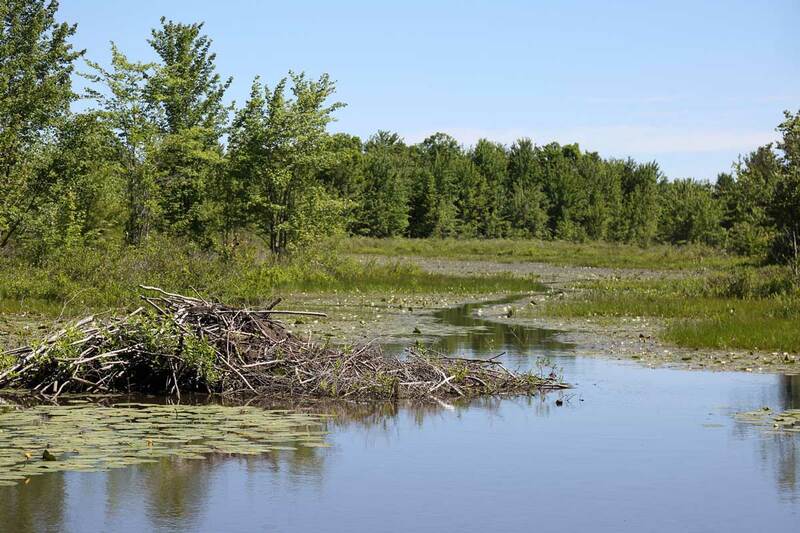 These wetlands are important for Canada, and for the world. They provide breeding habitat for millions of waterfowl, store a global motherlode of carbon, and represent one of a few dwindling places on our planet where wetlands are still wilderness. To conserve wetlands we need to think bigger than wetlands. Many species that live in wetlands also depend on the surrounding uplands. Spring peepers move into forests after they are done spring peeping. The water that comes and goes from wetlands impacts the broader watershed, and that watershed impacts the wetlands. Wetlands in and around cities and farms might be some the hardest working ecosystems on the planet. For centuries they have cleaned our water, prevented floods and provided habitat for wildlife.